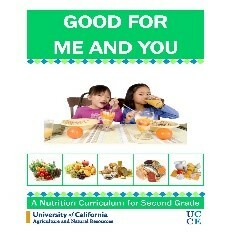 Grades 1, 2, and 3 receive an English Language Arts based health and nutrition curriculum. Students learn to make healthy food and exercise choices to establish lifelong habits. 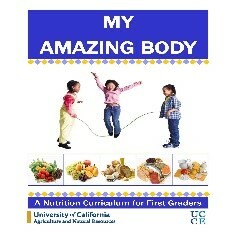 The goals of all three curricula are for students to be able to make healthy food and exercise choices by developing positive attitudes and behaviors towards food and fitness. Increase their consumption of fruits, vegetables, and whole grains. Expand the variety of their diets. Recognize MyPlate and identify it as a guide to healthy eating. Describe the importance of nutrition, exercise, sleep, and hand washing to a healthy body. Describe the health benefits provided by foods from each of the five food groups. Increase their consumption for fruits, vegetables, and whole grains. Expand the variety in their diets. 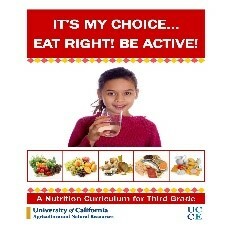 Grade 3: It's My Choice... Eat Right! Be Active! Understand the concept of essential nutrients.